Which Nationalities are the Best at Learning Languages? Language learning is often associated with cramming vocabulary and remembering grammar rules. While these are necessary to master a language, there are additional factors that play a role in how fast and how well you can be fluent in a particular language. Countries across the globe have varying numbers of multilinguals. While some nations have a poor record in mastering languages that are not necessarily their first language, others seem to be gifted in their ability to be fluent in up to three languages. 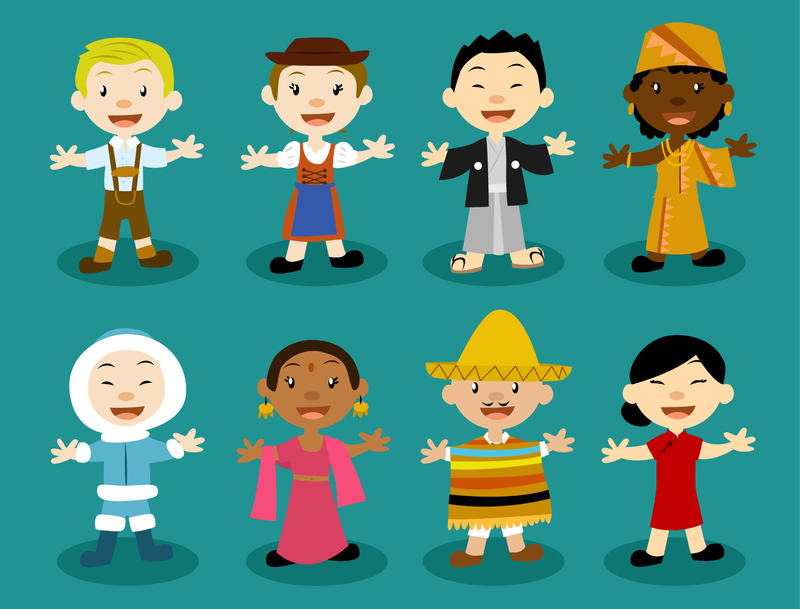 Here we break down the nationalities that are the most multilingual and discuss what makes it easy for certain nationalities to be multilingual. Is it science or human determination? Or is it a combination of both along with some ‘learning hacks’? Let’s find out! Who Speaks What and Where? Dutch is an official language and is taught in all schools. Both English and Spanish are also required languages in Aruba’s education system, and most students become fluent by the time they finish school. India is the seventh largest country in the world, and it is no surprise that there are many languages present that are unique to each region. Though English is preferred over Hindi in southern India, each state in India has its own official language(s), most of which differ from English and Hindi. These languages are used in local media and on the street. Most educated Indians are at least trilingual, and people who move between states may have a working knowledge of additional languages. Many Indians are able to communicate and understand four or more languages. This tiny European nation’s populace is fluent in four languages. When conversing with one another, locals use Luxembourgish. This tongue is related to German, but incomprehensible to native German speakers owing to its large number of French loan words. French and German, both co-official languages, are spoken by everyone and are a required part of every child’s education. Official government business is conducted in French. In addition, a fourth language, English, is a compulsory subject in schools. Malaysia is country with various ethnic groups. Malaysians whose ancestors came from India can speak their familial language in addition to Malay and English. Chinese Malays learn Mandarin in school, but most also speak other dialects (such as Cantonese, Hokkien and Hakka) at home or on the street. In big cities like Kuala Lumpur, Penang and Johor Bahru, it is not uncommon to find Chinese Malaysians who can speak two or three Chinese dialects in addition to Malay and English. Singapore has four official languages: English, Mandarin Chinese, Malay and Tamil. Signage in this ethnically diverse city-state contains all four of these languages. However, hardly any resident actually speaks all four, though most are fluent in at least two. South Africa is a country with a whole load of languages that are unique to the continent. Many South Africans speak English in addition to a language that is prevalent in their hometown. Some might even have fluency of up to three or more tongues, such as English, Afrikaans and regional languages such as Zulu or Swahili. The four national languages of Switzerland are German, French, Italian and Romansh. All but Romansh maintain equal status as official languages at the national level within the Federal Administration of the Swiss Confederation. 64.9% of the population speak German, 22.6% French, 8.3% Italian, and 0.5% Rumantsch Grischun (Romansh), and all have the right to address the federal assembly in their own language. The Swiss federation consists of 26 cantons, or states, all with much more control over their own affairs, including education and language policy, so who learns which languages depends on which canton they are in. Although there are differences between the languages and its Swiss version i.e. Swiss German, Swiss French, Swiss Italian, “It’s the same dish but the spices are different,” as described by Andres Kristol, director of the University of Neuchâtel’s Centre for the Study of Dialects and Regional French. Plus, although English isn’t an official language, it’s widely spoken and understood, especially in cities. When you’re traveling, you open so many doors for language acquisition by immersing yourself in the local language. Many nationalities that are multilingual often have an array of languages practiced in their local communities. This enables every generation to pick up these languages instinctively and immersively. Studies conducted by various researchers show that the ease with which a language can be picked up depends on the exposure that person has with that particular tongue. In many cases, national educational strategy and finding drives linguistic success, with commitment to the four skills and a required level of proficiency. Any school can say that a language is compulsory, but following this through with engaging, communicative teaching and a required proficiency to be met means that it becomes simple math for genuine multi-lingualism. Where a country has more that one official language for historical and cultural reasons, or where it’s economy relies on target markets of specific native speakers, results in organic bi-lingualism. Consistent practice and then making body language associations were seen to help out those trying to learn a new language. For instance, European Spanish, Italian and French come from different parts of your mouth, and even postures can vary. From tonal modifications to physical gestures, body language plays a key role in picking up a language. Lingual diversity helps people be fluent in multiple languages due to constant practice. This linguistic mixture develops for differing reasons. It can be caused by a complex colonial history, by strong regional loyalties or even by the unavoidable cultural influence of nearby superpowers. For certain people, genes may prime the brain to be good at language learning. In fact, recent studies are starting to pinpoint a few brain regions that are extra-large or extra-efficient in people who excel at languages. In a linguistic study in the journal Cerebral Cortex, researchers found better language learning abilities in college students with a larger Heschl’s gyrus, an area on the left side of the brain that processes pitch. But that finding only applies to learning tonal languages like Mandarin, said study author Patrick Wong, a neuroscientist at Northwestern University in Evanston, Illinois. However, not everyone is genetically gifted. For most of us, it’s more a matter of being determined and motivated enough to put in the hours and hard work necessary to learn new ways of communicating. Never fear, help is here! Learn the easy way, with one single login to 160+ languages. What’s the Difference Between American English and British English?